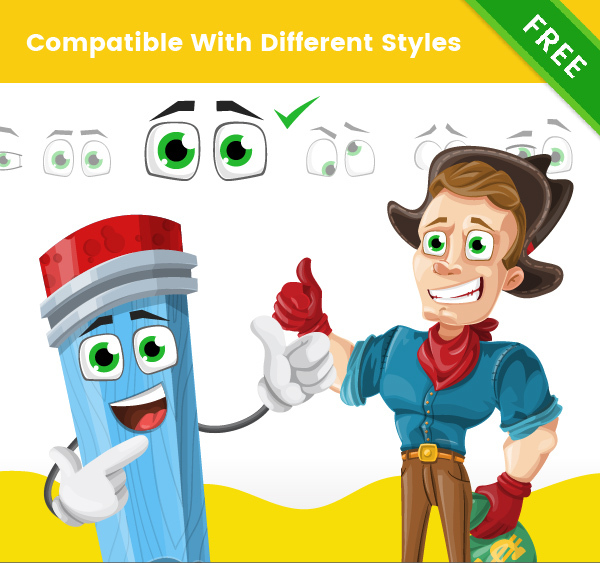 A Free Cartoon Eye Vector Set that includes 18 high-quality cartoon eyes made entirely from vector shapes. You can use these eyes to make a character out of any object you want. For example, you can use a picture of a book and put the eyes on top to make a cartoon character. The idea of this set is to help you make your logo or a product more attractive in the easiest way possible. You can combine different eyes to make your character show a different expression. In the set, you will find happy eyes, angry eyes, sad eyes, shocked eyes, bored eyes and more. The possibilities are infinite. To download the set, click on the download button below the previews. If you are looking for characters to combine with the eyes, take a look at our free characters, or if you need more premium characters check out Graphic Mama’s Cartoon Characters. 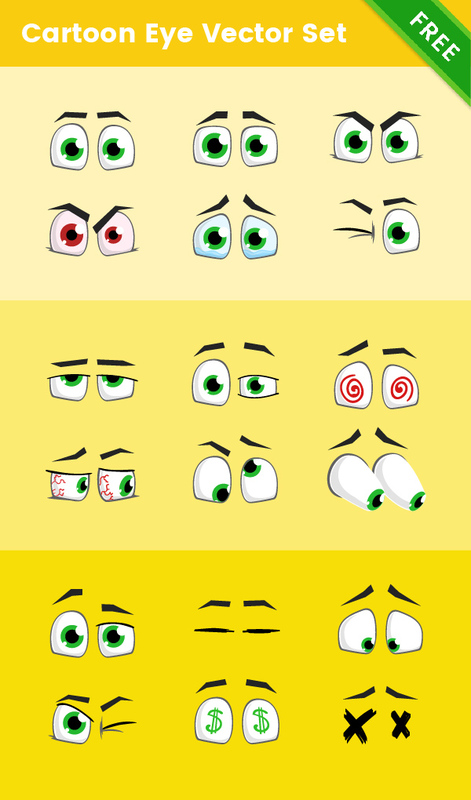 In the preview below you can find our Free Cartoon Eye Vector Set in action.